The HudsonAlpha Institute for Biotechnology along with partners at the University of Nebraska will work on understanding how sorghum responds to nitrogen-based fertilizer and educating the next generation of scientists in Agrigenomics. The opportunity comes from a four-year, $3.9 million grant from the National Science Foundation (NSF). 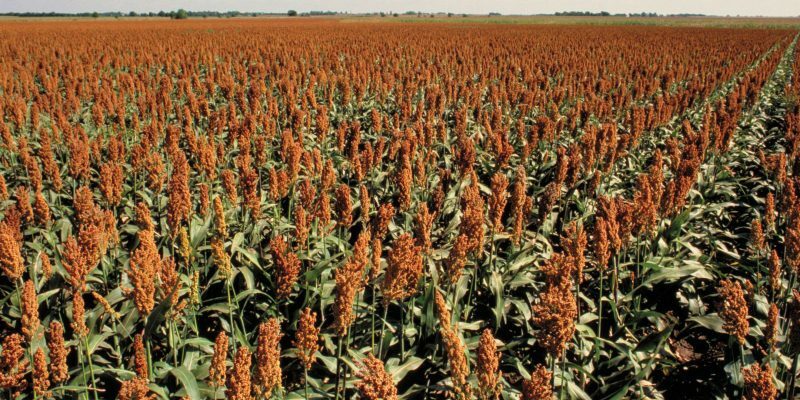 Increasing the nitrogen efficiency of sorghum would help create a crop that requires less fertilizer to produce more yield, which would secure a food source, improve biofuel options and aid farming communities. In order to get to that point, we first need to understand how the incredibly complex genome of sorghum influences how nitrogen efficient the crop is. Through this NSF Track-2 Focused EPSCoR Collaborations (RII Track-2 FEC) project, the team will conduct cutting-edge plant genomics research to better understand how nitrogen affects plant growth and development. HudsonAlpha Institute for Biotechnology will bring its biotechnology education and agricultural genomics research expertise to the collaborative project while the University of Nebraska-Lincoln will contribute its expertise in CRISPR-Cas9 gene editing and automated phenotyping with their state-of-the-art LemnaTeC high-throughput system for imaging large plants. The team aims to draw out certain genetic expressions through gene editing, then see how those changes influence the overall nitrogen efficiency of the crop. By doing this, scientists hope to isolate specific genes or combinations of genes that will improve sorghum. In addition to the genomic research, the project also includes a workforce development component, creating a set of experiences to engage and shepherd students into agrigenomic-related careers. A multi-week summer academy for high school students, along with undergraduate mentoring and internship opportunities will be developed. Schmutz and Swaminathan will be working in collaboration with Neil Lamb, PhD, and Sara Cooper, PhD, from HudsonAlpha. The team from The University of Nebraska includes James Schnable, Tom Clemente, Yufeng Ge and Jinliang Yang. The grant is part of the Established Program to Stimulate Competitive Research (EPSCoR) program, which builds research and development capacity in states that demonstrate a commitment to research but have thus far lacked the levels of investment seen in other parts of the country. Both Alabama and Nebraska qualify for the program. The project starts on October 1, 2018. This material is based upon work supported by the National Science Foundation under Grant No. OIA-1826781. Any opinions, findings, and conclusions or recommendations expressed in this material are those of the authors and do not necessarily reflect the views of the National Science Foundation. Copyright © HudsonAlpha Genome Sequencing Center.